I-Beams offer a high-strength, long-span structural timber beam which can be used for residential and commercial building applications. I-Beams are high-strength, long-span structural timber beams which are used for residential and commercial applications. They offer exceptional straightness, uniform depth and dimensional stability. Lightweight timber construction typically comprises framed and braced structures to which one or more types of cladding are applied. 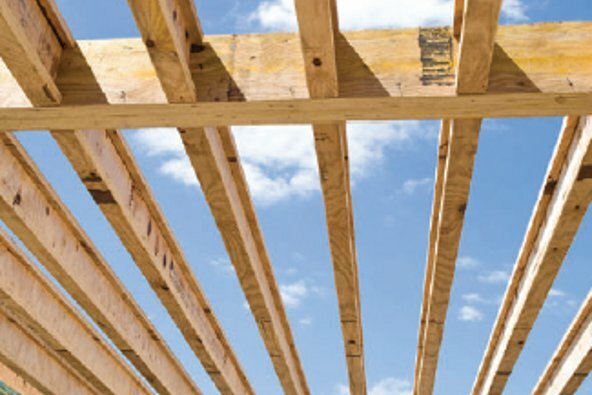 Framing configurations can range from the closely spaced light timbers commonly seen in stud frame construction to large, more widely spaced timbers. A timber framed building can be placed on a concrete slab or on posts/poles or bearers resting on piers/stumps supported on pad footings. Used in houses or multi-residential dwellings, lightweight timber construction offers the flexibility of a wide range of cost effective design options. When the timber comes from sustainable sources, this construction method can be environmentally advantageous as it combines timber's low embodied energy with its capacity to store carbon.